Comments: This is a tree that is quite popular in Australia. Reported to be highly variable in form, from sizable tree to a medium-sized shrub, depending on the habitat. 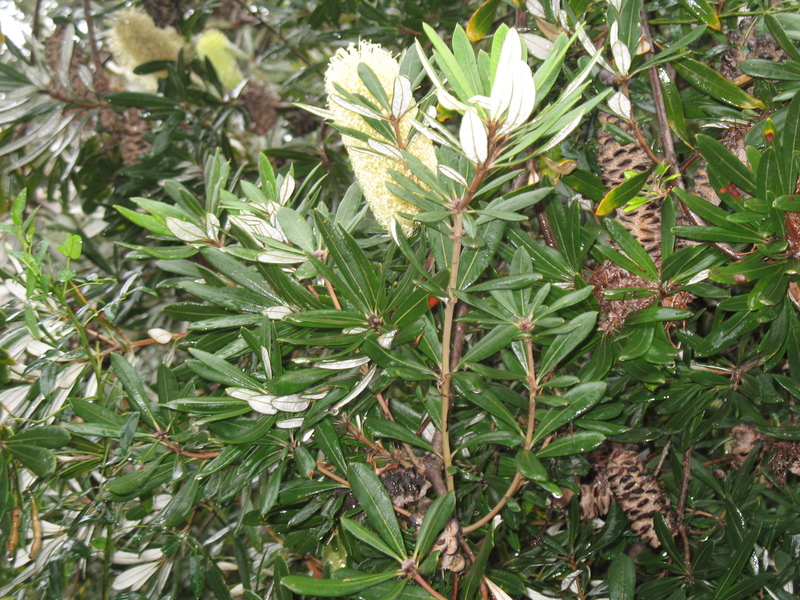 Flowers which are cylindrical in form resemble the more common bottlebrush. Foliage is dark green with the undersides being grayish in color. Old trees have twisted and gnarled trunks. Birds and bees are attracted to the flowers.